Recurvers Alex Wise and Ashe Morgan put in stunning performances to take the top and third spots in the flights competition at this weekend’s Vegas shoot. Fifty-two British archers were at the event, among more than 3,760 shooting in championship events, flights and the finals of the Indoor Archery World Series in Las Vegas. The last were the flight divisions where there were more chances to win prizes. Other Britons put in notable performances, including Susan Agnew, fourth in recurve flight seven and Cecile Midrouillet, fifth in compound flight 27. In the finals of the first Indoor Archery World Series, recurver Patrick Huston qualified in 10th spot and faced Ku Bonchan in the last 16. The Korean beat Patrick 6-0 at the Rio Olympics in 2016. This time it was not so easy. Ku took first blood but both shot perfect 30s in the second set. One point gave Ku the edge in the third but Patrick turned the tables to take the fourth. Another 30 gave the Korean the fifth – and the match 7-3. Eighth seed Tom Hall faced Jonah Wilthagen. The Dutchman took an early lead and, despite Tom pulling back a point in the second, went through 7-1. Our other recurver, Bryony Pitman, qualified in 10th place and faced Gabriella Bayardo of the Netherlands for a place in the quarter finals. The two tied the first three sets then Bayardo edged ahead by a single point in the fourth – and did it again in the fifth to take the match 7-3. In the compound finals, Bayley Sargeant qualified in 16th spot to take on top seed So Chaewon. And it was so close. She took the first end with a perfect 30, lost the next two, took the fourth and drew the fifth. But the Korean had done enough and went through with a two-point lead. Edinburgh University’s Sarah Prieels took a silver medal. Shooting for Belgium, the second seed beat Russia’s Alexandra Savenkova in a shoot-off, Luxembourg’s Mariya Shkolna and Tanja Jensen of Denmark to set up a gold medal showdown with Viktoria Balzhanova. Sarah started well but the Russian eventually clawed it back to take the title. That put Bayley 14th in the championship categories. Hannah Brown finished 77th and Stephanie Clason 112th, with James Mason in 74th spot, Chris White 125th and Geraint Thomas 146th. Matthew Wong was ninth in the young adult category with Stuart McCullough 55th. Austin Closser was 13th in his compound youth listings with Jay Saunderson 51st and Sinead Byrne 34th, while cub Lara Saunderson was 19th. 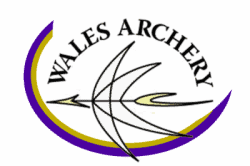 In the recurve categories, Bryony, Tom and Patrick finished 16th, 19th and 28th respectively. Malcolm Dukes was in 56th spot, one ahead of Tom Fewz, with Leslie Day 58th.Simon Kennedy completed the barebow championship in 51st place. You can find all the flight, Series and championship results here.